Kharagpur: 1. I am happy to join you today on this occasion of the 58th Convocation of IIT Kharagpur – in the Diamond Jubilee year of this proud institution. I recall my visit here in 2011 when the celebrations were launched. 3. It is recorded that in 1946, a Committee had been set up by Sir Jogendra Singh, Member of the Viceroy Executive Council, to consider setting up higher Technical Institutions for post war industrial development in India. However, it was in independent India, in August, 1951, that the first batch of just 24 students and 42 teachers started their lessons in a total of ten Departments. In March, 1952, Pandit Nehru laid the foundation stone of the new IIT Kharagpur and subsequently, on September 15, 1956, the Parliament of India passed an Act known as the Indian Institute of Technology (Kharagpur) Act, declaring this Institute as an Institute of national importance. 4. Since then, this Institution has grown steadily in prestige and accomplishment – to become the incubator, then model, for modern technological education in India. The IIT system, which started from here, is a symbol of the progress and success of India in the field of technology. 5. Distinguished Ladies and Gentlemen, the reputation and achievements of the IIT system are due, in great measure, to its superior programmes and curriculum, designed to remain true to the fine vision of its founders. I can think of no better words than the IIT motto, “Yoga Karmashu Kaushalam” or “Excellence through perfection” to inspire modern generations with the seminal guidance given by Sri Krishna to Arjuna in the Mahabharatha. The Mission of the IIT Kharagpur “To draw the best expertise in science, technology management and law, to impart overall training to students in visualizing, synthesizing and executing projects, and to inculcate in them a spirit of entrepreneurship and innovation”: is bound to create excellence. And the vision that has guided the management and faculty is at the core of its success: “To be a centre of excellence in education and research, producing global leaders in science, technology and management “, “To be a place where knowledge is created in frontier areas of national and global importance”. These guiding principles, if pursued sincerely, will be invaluable in creating the national asset of a highly qualified and motivated generation with an advanced scientific temper. 6. Today, the IIT’s alumni are achievers and leaders in every sphere of human activity – in India’s most successful corporates and Government Ministries and in laboratories of research and innovation here and across the world – cherishing their IIT background and bringing home laurels. The country is proud of your contribution – in creating the technological manpower essential for our nation-building and your noteworthy contribution to the economic growth of our nation. 7. It was in recognition of your service to the nation that our Government was pleased to announce , in the Union Budget of 2011-2012, a one time grant of 200 crore rupees for the development of IIT Kharagpur. Government of India also approved the establishment of a 400-bed hospital within this IIT to be built on a ‘Special Purpose Vehicle’ model, – which is another unique privilege for IIT Kharagpur. 9. In a time of changing social and industrial needs, it is a welcome initiative that IIT Kharagpur is offering new degree courses and programs in order to lead from the front and to keep pace with the growth and development of science and technology. 10. 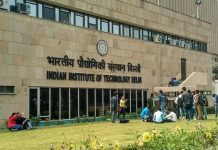 I am happy to see that this IIT, apart from creating scientific and technical knowledge, has taken measures to meet the challenges of this century: establishing new postgraduate programmes in Energy Engineering, Nano Science and Technology, setting up a School of Bioscience with emphasis on cellular and molecular biology and a School of Environmental Science. 11. It is also a matter of satisfaction to see that the Institute will soon start a Medical Education Programme and take a research initiative in Bio-medical and Heath-care in the proposed Dr Bidhan Chandra Roy Institute of Medical Science and Research. 12. I am glad to note that IIT Kharagpur has taken the lead in setting up unique departments, schools and centres for studies in Agricultural Engineering, Rural Development and Mining Engineering, keeping in mind the priority requirements of the all sectors of our economy – and especially the eastern states of India. The School of Medical Science and Technology and Rajiv Gandhi School of Intellectual Property Law are good initiatives indeed. 13. At the same time, I feel it necessary to share with you my sense of dismay on seeing, in recent reports, that not a single Indian University or institute of higher learning, including the premier IITs figure in list of 200 top rated Universities of the world. Now you may question the survey, but to my mind the more important question is, why? Why are we, a “rising economic superpower”, not able to promote our standards to be rated, indisputably, among the top ten or even top fifty or hundred? 14. I AM glad and welcome in this regard the Vision 2020 document of IIT Kharagpur and its pledge that it will strive to become one of the top 20 Institutes in its class in 20 years. I wish you all success. 15. I would stress that to realise our true potential as a nation, it is necessary to start now, with the urgent task of developing, in our students, a scientific temperament. It is necessary to design, without delay, appropriate learning experiences for our students. Development of advanced technology at competitive costs would be a boon to our industry, trade and commercial sectors. Adaptation and application of new technology to Indian conditions and requirements would open new market opportunities. These have got to be an integral part of the courses that our students attend – and they must be continuously stimulated in their quest for answers and solutions. There must be more collaborations and exchanges and cross pollination of ideas with the best minds in India and abroad. 16. There is no reason why the most modern methods and teaching aids should not be made available to our teachers and students. Our younger generations should be encouraged through all means to learn more, explore more and contribute more to the society. You are critical to this endeavour. 17. I would stress that IITs, as leaders, have the responsibility of ensuring the continuous revitalization of their institutions through research, experimentation and innovation. The long term goal of setting standards and creating top class facilities and for the training and professional development of your teachers should be a priority. 18. While offering my felicitations to the successful students who will receive their degrees today, I would remind you that your satisfaction at having completed the challenging course should also invoke in you a strong desire to do more. I would expect that you will today commit to channelise your creative energies to contribute in an exceptional and significant way to the national goals of inclusive growth and sustainable development in all sectors. 19. Creation of jobs should always be among your priorities when you conceive concepts and ideas. Your efforts and initiatives could go a long way in supplementing Government’s efforts and initiatives to provide cost-effective and novel methods and technology – adapted to the current, changing needs of our society. 20. The projects and plans conceived here can open new avenues and means for our rural population and middle class to make them increasingly productive, self-reliant and give them opportunities that they can confidently pursue. 21. I firmly believe that your future success will not only be measured by the outstanding education and training that you have received here but also by the values with which you will define your work and your adherence to the principles that the Founding Fathers of the IIT system conceived. 22. You have a tremendous responsibility. I call upon each one of you to rededicate yourself to making the “Decade of Innovation”, an unmitigated success. With these inspiring words, I once again offer you my hearty congratulations and my best wishes for a bright future.